We have been teaching cardio kickboxing in Santa Fe for over 17 years. Come visit us for Santa Fe's best cardio kickboxing workout. No one does it better than ANK. 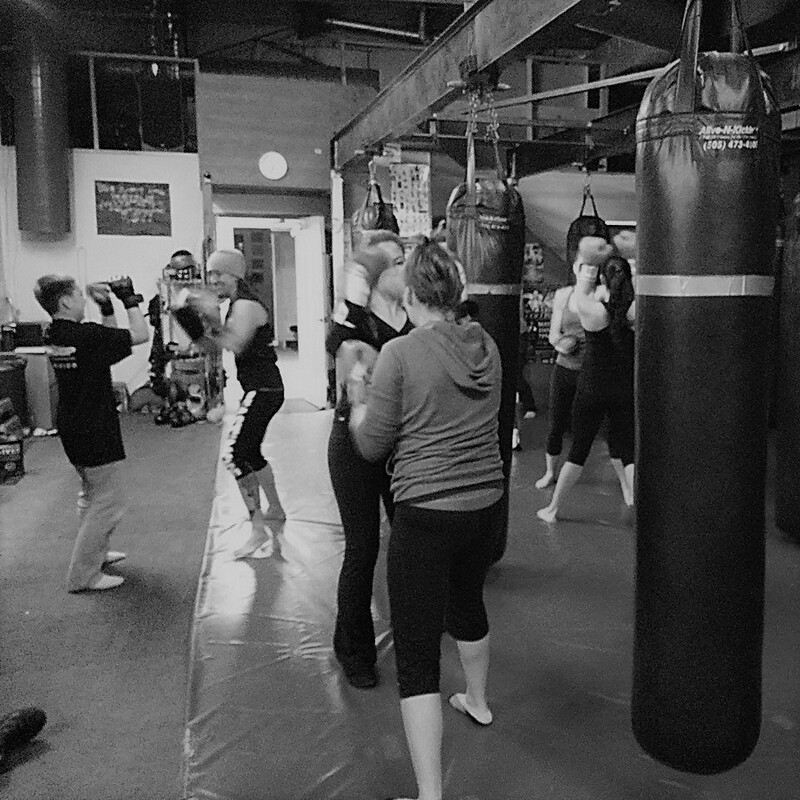 Cardio Kickboxing - The goal of our cardio kickboxing classes is to give you a great, scalable, workout that will challenge and benefit folks of all ages and fitness levels. Cardio Kickboxing combines cardiovascular and anaerobic conditioning with heavy bag work, plyometrics, isometrics, resistance training and a variety of techniques to challenge your body and mind. You will develop upper and lower body strength, general conditioning through full body workouts. Perfect for weight-loss, general fitness, or to get you in shape for other sports and physical activities. In a one hour class you can expect to burn between 500 and 900 calories.